DEATH ANGEL: detalles de su nuevo disco "The Evil Divide"
Death Angel lanzará su nuevo álbum, "The Evil Divide", el 27 de mayo. El disco se grabó una vez más en los estudios Audiohammer en Sanford, Florida con el productor Jason Suecof (Trivium, Deicide), y que ya había trabajado en de 2010 en "Relentless Retribution" y en 2013 en "The Dream Calls For Blood". El masterizado lo realizo Ted Jensen en el estudio Sterling Sound de Nueva York. La portada es obra del tatuador Bob Tyrrell. DEATH ANGEL will release their new album, "The Evil Divide", on May 27. The CD was once again recorded at AudioHammer studios in Sanford, Florida with producer Jason Suecof (TRIVIUM, DEICIDE), who previously worked on 2010's "Relentless Retribution" and 2013's "The Dream Calls For Blood". Mastering duties were handled by Ted Jensen at Sterling Sound in New York City. 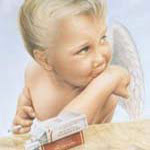 The cover artwork was created by tattoo artist Bob Tyrrell and can be seen below. DEATH ANGEL: nuevo tema "The Moth"
DEATH ANGEL: nuevo tema "Cause For Alarm"
DEATH ANGEL: nuevo tema "Father of Lies"
DEATH ANGEL: detalles de su nuevo disco "Humanicide"
Death Angel, lanzarán su noveno álbum, "Humanicide", el 31 de mayo con Nuclear Blast Records. El nuevo disco será precedido por la gira de Death Angel en los Estados Unidos con Overkill y Act Of Defiance. 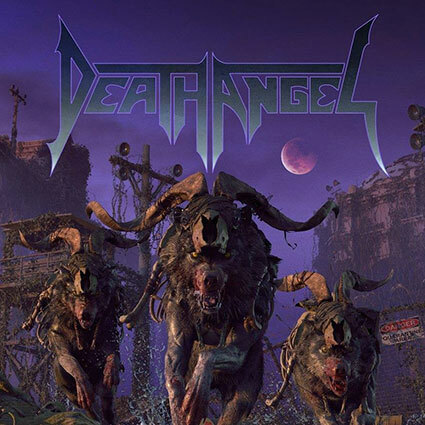 Bay Area thrash metal legends DEATH ANGEL will release their long-awaited 9th full-length album, »Humanicide« on May 31st with Nuclear Blast Records. Today, the band has unveiled the artwork, tracklisting and the record’s first new single, the title track, via visualizer. The new record will be preceded by DEATH ANGEL’s U.S. tour with OVERKILL and ACT OF DEFIANCE.